For those who are unconvinced by the consistent, recurrent testimony of Scripture, and the plain example and practice of Christ and the Apostles on the subject of Christian Non-Violence, I present the exhaustive list of quotations from the early Church in the first 400 years. Featuring quotes from hearers of the Apostle John and hearers of theirs. "We do not wage war against our enemies." "We will not ask you to punish our oppressors. Their present wickedness is sufficient punishment." "He commanded [His followers] . . . not only not to strike others, but even, when they themselves are struck, to present the other cheek. . . [He commanded them] not only to not injure their neighbors, nor to do them any evil, but also when they are dealt with wickedly, to be long-suffering. "We have learned not to return blow for blow, nor to go to law with those who plunder and rob us. Not only that, but to those who strike us on one side of the face, we have learned to offer the other side also." "What, then, are the teachings in which we Christians are brought up? 'I say unto you, love your enemies; bless those who curse you. Pray for those who persecute you.'" "An enemy must be aided, so that he may not continue as an enemy. For by help, good feeling is compacted and enmity dissolved." "We do not train our women like Amazons to manliness in war, for we wish even the men to be peaceable." "The spiritual man never cherishes resentment or harbors a grudge against anyone - even though deserving of hatred for his conduct." "Paul does not merely describe the spiritual man as being characterized by suffering wrong rather than doing wrong. Rather, Paul teaches that a Christian does not keep account of injuries. For Paul does not allow even to pray against the man done wrong to him, For he knows that the Lord expressly commanded us to pray for our enemies." “But now inquiry is made about this point, whether a believer may turn himself unto military service, and whether the military may be admitted unto the faith, even the rank and file, or each inferior grade, for who it is not required to take part in sacrifices or capital punishments. There is no agreement between the divine and the human sacrament, the standard of Christ and the standard of the devil, the camp of light and the camp of darkness. One soul cannot be due to two masters—God and Caesar. . . .But how will a Christian war, nay, how will he serve even in peace without a sword, which the Lord has taken away? For albeit soldiers had come unto John, and had received the formula of their rule; albeit, likewise, a centurion had believed, still the Lord afterward, in disarming Peter, unbelted every soldier." “To begin with the real ground of the military crown, I think we must first inquire whether warfare is proper at all for Christians. Do we believe it lawful for a human oath to be super-added to one divine, for a man to come under promise to another master after Christ? 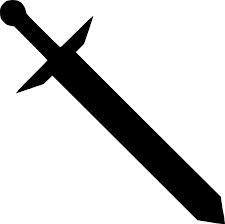 Shall it be held lawful to make an occupation of the sword, when the Lord proclaims that he who uses the sword shall perish by the sword? And shall the son of peace take part in the battle when it does not become him even to sue at law? Indeed, if, putting my strength to the question, I banish from us the military life." "'Nation will not take up sword against nation, and they will no more learn to fight.' Who else, therefore, does this prophecy apply to, other than us? For we are fully taught by the new law, and therefore observe these practices. The practice of the old law was to avenge itself by vengeance of the sword. It was to pluck out 'eye for an eye,' and to inflict retaliatory revenge for injury. However, practice of the new law points to clemency. It changes the primitive ferocity of swords and lances to tranquility. It remodels the primitive execution of war upon rivals and enemies of the Law into the peaceful actions of plowing and cultivating the land." "Men of old were used to requiring 'eye for an eye, and tooth for a tooth' and to repay evil for evil, with interest! . . .But after Christ has supervened and has united the grace of faith with patience, now it is no longer lawful to attack others even with words, nor to merely say "fool," without danger of judgment. . . Christ says, 'Love your enemies, and bless your cursers, and pray for your persecutors.'" "If someone attempts to provoke you by physical violence, the admonition of the Lord is at hand. He says, 'to him you strikes you on the face, turn the other cheek also.' Let outrageousness be worn out by your patience. Whatever that blow may be, joined with pain and scorn, it will receive a heavier one from the Lord." "For what is the difference between provoker and provoked? The only difference is that the former was the first to do evil, the the latter did evil afterwards. Each stands condemned in the eyes of the Lord for hurting a man. "Christ plainly teaches a new kind of long-suffering, when He actually prohibits reprisals that the Creator permitted in requiring 'an eye for an eye, and tooth for a tooth.'" "If, then, we are commanded to love our enemies (as I have remarked above), whom have we to hate? If injured, we are forbidden to retaliate, lest we become bad ourselves. Who can suffer injury at our hands?" "How often you inflict gross cruelties on Christians. You do this, partly because it is your own inclination, and partly in obedience to laws. . . . Yet, banded together as we are, ever so ready to sacrifice our lives, what single case of revenge for injury are you able to point to? However, if it were held to be right for us to repay evil for evil, a single night with a torch or two could achieve an ample vengeance. But away with the idea of a divine sect avenging itself by human fires!" "We willingly yield ourselves to the sword. So what wars would we not be both fit and eager to participate in (even against unequal forces), if in our religion it were not counted better to be slain than to slay?" "God puts His prohibition on every sort of man-killing by that one inclusive commandment: 'You shall not kill.'" "The Lord will save them in that day, even His own people, like sheep. . . No one gives the name of 'sheep' to those who fall in battle with arms in hand, or those who are killed repelling force with force. Rather, it is given to those who are slain, yielding themselves up in their own place of duty and with patience, rather than fighting in self-defense. "'And they will beat their swords into plowshares, and their spears into pruning-hooks.' In other words, they will change their dispositions of injurious minds, hostile tongues, blasphemy, and all kinds of evil pursuits into pursuits of moderation and peace. 'Nation will not lift up sword against nation.' That is, they will not stir up conflict. 'Neither will they learn war anymore.' That is, the provocations of hostilities. So you should learn from this that Christ was not promised to be powerful in war. Rather, he has promised to pursue peace. Now you must deny either that these things were foretold (although they are plainly seen) or deny that they have been fulfilled (although you read of them). "Is the [military] laurel of triumph made of leaves, or of corpses? Is it adorned with ribbons, or with tombs? Is it we with ointments, or with the tears of wives and mothers? It may be made of some [dead] Christians too. For Christ is also believed among the barbarians. "Celsus says, "They also have a teaching to this effect: that we should not avenge ourselves on one who injures us. Or, as Christ expresses it: 'Whoever will strike you on one cheek, turn the other to him also.'" "We revile no one, for we believe that 'revilers will not inherit the kingdom of God.' And we read, 'Bless them that curse you; bless and curse not.' Also, 'Being reviled, we bless.'" "When a Christian is arrested, he does not resist. Nor does he avenge himself against your unrighteous violence, even though our people are numerous and plentiful." "Christians do not attack their assailants in return, for it is not lawful for the innocent to kill even the guilty." "The hand must not be spotted with the sword and blood - not after the Eucharist is carried in it." "We may not hate. And we please God more by rendering no return for wrong. Therefore, we exhort you to make satisfaction to God. Do this while you have the power, while there yet remains in you something of life . . .We do not envy your comforts, nor do we conceal the divine benefits. We repay kindness for your hatred. In return for the torments and penalties that are inflicted on us, we point out to you the ways of salvation." "The Christian has departed from rage and carnal contention, as if from hurricanes of the sea. He has already begun to be tranquil and meek in the harbor of Christ. Therefore, he should allow neither anger nor discord within his breath. For he must neither return evil for evil, nor bear hatred." "Even our enemies are to be loved." "Do not willingly use force, and do not return force when it used against you." "Why would [the just man] carry on war and mix himself with the passions of others when his mind is engaged in perpetual peace with men? Would he be delighted with foreign merchandise, or with human blood, he who does not know how to seek gain? For the Christian is satisfied with his standard of living. He considers it unlawful not only to commit slaughter, but also to be present with those who do it." "Religion is to be defended, not by putting to death, but by dying. Not by cruelty, but by patient endurance. Not by guilt, but by good faith. For the former things belong to evil, but the latter to good. . . For if you wish to defend religion by bloodshed, tortures, and guilt, it will no longer be defended. Rather, it will be polluted and profaned. . . And, therefore, when we suffer such impious things, we do not resist even in a word. Rather, we leave vengeance to God. We do not act as those persons who would have it appear they are defenders of their gods, who rage without restraint against those who do not worship them." "The Christian does injury to no one. He does not desire the property of others. In fact, he does not even defend his own property if it is taken from him by violence. For he knows how to patiently bear an injury inflicted upon him." "We do not resist those who injure us, for we must yield to them." "If anyone should be so shameless as to inflict injury on a good and just man, such a man must bear it with calmness and moderation. He will not take upon himself his revenge. Rather, he will reserve it for the judgment of God. He must maintain innocence at all times and in all places. And this commandment is not limited to merely his not [being the first to] inflict injury on another. Rather, he should not even avenge it when injury is inflicted on him. For there sits on the judgment-seat a very great and impartial Judge." "Why do contests, fights, and contentions arise among men? Is it because impatience against injustice often excites great tempests? However, if you meet injustice with patience, then no virtue can be found more true. . . In contrast, if injustice . . . has met with impatience on the same level as itself, . . . it will ignite a great fire that no stream can extinguish, but only the shedding of blood." "In what respect, then, does the wise and good man differ from the evil and foolish one? Is it not that he has unconquerable patience, of which the foolish is destitute? Is it not that he knows how to govern himself and to mitigate his anger - which others are unable to curb because they are without virtue? . . . What if a man gives way to grief and anger and indulges these emotions (which he should struggle against)? What if he rushes where ever injustice will call him? Such a man does not fulfill the duty of virtue. For he who tries to return an injury desires to imitate that very person by whom he has been injured. In short, he who imitates a bad man cannot be good." "When provoked by injury, if he returns violence to his assailant, he is defeated." "If desire is restrained, no one will use violence by land or by sea. No one will lead an army to carry off and lay waste the property of others. . . . For what are the interests of our country, but the detriments of another state or nation? To extend the boundaries that are violently taken from others, to increase the power of the state, to improve the revenues - all these things are not virtues. Rather, they are the overthrowing of virtues." "How can a man be just who hates, who despoils, who puts to death? Yet, those who strive to be serviceable to their country do all these things. . . When they speak of 'duties' relating to warfare, their speech pertains neither to justice, or to true virtue." "When God forbids us to kill, He prohibits more than the open violence that is not even allowed by the public laws. He also warns against us doing those things that are considered lawful among men. For that reason, it will not be lawful for a just man to engage in warfare, since his warfare is justice itself. Nor is it lawful for him to accuse anyone of a capital charge. For it makes no difference whether you put a man to death by word, or by the sword instead. That is because it is the act of putting to death itself that is prohibited. Therefore, with regard to this commandment of God, there should be no exception at all. Rather, it is always unlawful to put a man to death, whom God willed to be a sacred creature. "'An eye for an eye, and a tooth for a tooth.' That is the expression of justice. However, His injunction that a man who is struck on the cheek should suffer the other one also - that is the expression of goodness. Now are justice and goodness opposed to each other? Far from it!Rather, there has only been an advancement from simple justice to positive goodness." "Do no one any injury at any time; provoke no one to anger. If an injury is done to you, look to Jesus Christ. And even as you desire Him to forgive you your transgressions, you also forgive others theirs."